The first thing I do when I get to the office each morning is check my list of open CTAs. This helps me develop a roadmap for who my top priorities are in speaking to each day, who is falling behind schedule as we approach renewal time, and what actions I need to take to get each account in the healthiest possible position. Certain CTAs we have set up are ambiguous and hard to understand what needs to be done for them to close. Additionally, sometimes it can take over 24 hours for a CTA to close when an action such as an email or phone call is completed. Make sure you understand how each Call to Action functions and what needs to be done to complete it, but if that is clear among your employees it will be an excellent tool in holding them accountable. Managing a large book of business can be difficult, especially when it comes to keeping track of all the various tasks you need to complete each day. I used to use post-its and scratch out to-do lists in my notebook, but Komiko has allowed me to organize, prioritize, and formulate a plan of attack to most effectively service my clients. Ultimately, the true beneficiary of my use of Komiko has been my clients and the improved response times, frequency of check-in calls and emails, and greater accountability in holding to renewal timelines. "Great tool for tracking emails/meetings in Salesforce and providing useful context for Sales and CSM"
Definitely check it out. It's simple to set up and easily one of the best solutions out there if you are looking to solve these specific business problems. "Great tool for customer intelligence and success "
1) Visibility into customer interactions, new connections and the nature of communications. These insights are typically "buried" in hundreds of email communications with zero visibility or insight to the decisions makers. 2) No effort to deploy - I expect today's software to be very easy to deploy and to get quick sense of the value. The solution is engineered with this in mind and the fact that it's in Salesforce makes it immediately available to our sales. 3) Team - they are very customer centric, listen to our feedback and are fast at implementing it. 4) It works - the quality of the solution is high. In general, the team includes some super talented and smart engineers. "Innovative Product with a team that supports you"
I am no complaints about my experience with Komiko to this point. Any time I have an issue the team is very helpful. The team is a resource for you, the more you ask the more you learn about the great use of this product! We are solving the problem of accountability within our org through intelligent CTAs, as well helping CSMs identify accounts that are at risk. "Good experience and customer support"
They import email history, which is very useful and an advantage compared to other platforms. Komiko has served us well as an activity auto-logging and capture tool. We are excited for upcoming new features and releases as well. "One of the tools with best ROI!" The fact that all emails with customers and prospects are logged automatically gives us peace of mind, we are on top of our own data. We can search across all correspondence of any team member throughout the history of engagement with every account, even if some sales people are not with the company anymore. Fantastic. On top of it, we can tell which sales people are more active that others and which are getting more response by their accounts, and we see that trending over time. There isn't anything to dislike about the platform. CRM is always up to date. Can search through all correspondence. Continuity of business in case people move on. "Solves the mail tracking problem for Sales reps and Sales Managers"
All emails are automatically logged against Lead, Account and Opps. This helps pipeline reviews tremendously. This along with the data insights help in exception reporting greatly! No major issues. Actual counts instead of % fields would have been helpful. "Makes Activity logging EASY for Sales Reps"
Komiko takes the manual work off my reps plate when logging activities. The reporting is easy too! I have to request for new hires inboxes to be monitored- it isn't just something I can do on my own. It adds a step to our onboarding process that I would like to handle internally. Komiko is easy to use and great, but kjeep in mind it is a small company- the support your receive is great but is not usually immediate. You might have to schedule a call out for the next week. "Extremely useful, provided it's well-integrated into a company's workflow"
It's a great way to gauge how you're interacting with a client base, and also get an understanding of the communication flow when working with inherited accounts. Sometimes it's not a natural pivot to leverage the technology; if there are other systems in place that do similar things, sometimes you end up going out of your way to use it, which can be frustrating. As I mentioned, it has helped a ton as an account manager who has inherited accounts to better understand the history of communication and how a previous account manager has interacted with a client. "Komiko is an excellent tool for Account Management"
Komiko has helped us identify our key contacts at existing Accounts, and allowed our sales and customer success teams to see who has been in touch with whom at our prospect and customer Accounts in Salesforce. We have a highly cross-functional operation, so Komiko has been central to helping us keep things organized and create better transparency in our operations. It's not a deal-breaker by any means, but it would be helpful if Komiko allowed us to export information or view data in a report in Salesforce. We're able to see which of our reps are contacting which contacts across our various accounts. We are also able to see a contact K-Score at the account level that displays who our key contacts are, which helps when identifying who to reach out to when we need to get in touch with that prospect or customer. "Great product, easy to use." Komiko gives me the ability to look at all activity within a specific account, see any trends, and also how long it's been since last correspondence with the customer right from the home screen on the Komiko dashboard. You can even see any documents that have been shared with the customer by anyone, so if my colleague has shared a proposal, I can go through Komiko to see it. There is nothing that I dislike about Komiko. Email tracking, activity tracking, activity trends, and also gives us an in depth opportunity report that we use to see when we need to be following up with customers. "Komiko brings new dimension to Analytics on Customer Engagement"
Komiko provides Engagement Scores on Customer Accounts based on Machine Learning at both Account and Individual Level. Komiko team is very responsive and accommodating in listening to feedback/recommendations and implementing them on priority for their customers. Occasionally slow on Performance as they are in their high growth phase. Komiko provides insights on how strong is our engagement with customers, a key metric often very hard to quantify. Through its comprehensive approach, it is able to score the health of relationship by keeping track of number of engagements (both inbound and outbound) with customers and provide a timeline of events/meetings done by Sales Team. The customer interaction data is really powerful, it is a data nerds dream to be able to calculate how many emails/meetings customer service teams and sales reps are sending. Building a reliable, complete contact repository in Salesforce. Tapping into outlook activity, where my team does the majority of their work still, allows us to intelligently populate our Accounts in Salesforce. "Very helpful - helps you hold yourself accountable!" I like the CTA column. It helps me prioritize my day and also remember who I need to reach out to. The constant alerts that don't apply. For example, I have an account that doesn't have a feature Komiko is taking in as a CTA. Use this as a way to prioritize! It works well with Gmail it seems. We are staying up to date with contacting our clients and showing them that we're ON IT! "Great Product To Manage Productivity "
The product is easy to use and helps to track your day-to-day tasks. The integration abilities are quite useful and create a seamless experience. There are ongoing bugs when it comes to filtering data and there are a few bugs during the initial implementation. I am able to see the overall health and activity of an account and the necessary steps I need to take to move the account into a healthy state. "Automated account mapping for your CRM"
Komiko connects our entire teams' email history to Salesforce so we can understand the whole story behind an account. There are so many conversations that happen during the sales process that are valuable to know but lost to manual tracking. Komiko connects me with every conversation my colleagues and business have had so I can do my best to contact customers in the right way. There's not a lot of customization for the end user. I'm sure the administrators can use the intelligence features more effectively. As a field user, it guarantees my conversation is uploaded so I don't have to manually log my calls, emails, or meetings. Komiko also acts as a handy meeting reminder tool in outlook as well so you're always prepared. Manual logging of conversations, email threads, and meeting details. Aligns fields teams with managers so that we're communicating on the same level. "Easy setup, solid service, valuable customer insights achieved "
I've been looking for CS software for a few months now. Komiko provided the highest value-add with the lowest required resources for implementation. Right now, the company is still in its early stage so I had to rely a lot on them for things like - playbook edits, segmentation changes, etc. Seems they address a lot of this in their roadmap but right now, that's been a challenge. At OpenGov, we work with large government agencies that require a lot of hands-on touch from multiple departments. The CSM team is still expected to manage the overall customer partnership. Komiko allows them to do that effectively through proactive risk warnings, display of complex customer communication patterns, tying of usage data to commercial activities, etc. "Komiko to Help Customer Success stay on Track"
If you're looking for a great team to work with, an easy integration and an ability to see value quickly, then Komiko is the right solution for you. "Dream come true for a SFDC admin!" Reduces admin for the sales reps so they can focus on selling and still provides the contacts needed by marketing and the activity tracking for sales ops tracking. Ensures the data is 100% accurate and is real-time. Tools can only use AI so much; need to double check the contacts information (e.g. title) in SFDC. But it is getting better. Ensures database has all the contacts needed for marketing campaigns, ensures has all activities for tracking sales team KPIs (e.g. meetings booked), and all emails logged. Dashboard is easy to read and gives very insightful information on team performance. "Helpful tool for day to day use"
I like how this makes my day to day workflow visible and trackable. The delay of catching tasks being completed. Would like to see a quicker refresh. Visible tasks for day to day work. Helps you see how your day will look and keep track of multiple clients so you can make sure to keep in touch with all. "Very Useful Tool But Sometimes Unreliable"
I like the automated functions of Komiko and that it takes the tedious tasks away from CRM. I also chose Komiko because it connected to our email server instead of being a plugin withing the email application itself. I don't like that for unexplained reasons the software just stops working sometimes for certain opportunities and users which makes it hard to rely on the data. We don't have to waste time copying and pasting email activity and manually entering contacts. "Saves me hours a week"
I love that I don't have to log my e-mails, it saves me countless hours. The look is very clean and easy to view as well. The only disadvantage is not being able to log e-mails to particular opportunities. Saves us time. Now that we do not have to log e-mails, we're able to focus on selling. "Good solution - But Bugs"
The ability to customize the type of monitoring you want to achieve. Setting up email alerts, integrating it with multiple tools that the organization uses. It helps with reporting on successes, areas of improvement, etc. There seems to be bugs, firing off alerts of inaccurate information. I've also seen a lag in time with response time from our reps and full circle if the issue had been resolved. The wrong information firing puts in question the accuracy. Looking at retention of customers based on day to day activities of team members. Reporting and response time, etc. "Very useful to save valuable time on transferring information to your CRM." The email automated transcription to SF and the missing contact alerts. Images are lost if not attached and emails can sometimes be missing for no obvious reason. The information can also be hard to track as the email threads are sometimes quite large. Saving time and making sure to have all the information from emails. "Best way to track long Email threads"
"Backend works well, impacts Salesforce page load times"
The sync between email and Salesforce records is fast and accurate. Komiko seems to have added 3-4 seconds to our page load times, which is slowing me down within Salesforce. I don't have access to view emails between our contacts and other people from my company in Komiko's window, but I can see them in Salesforce activity logs anyways. Be sure that it won't slow down your page load times. Our records and activity logs are more accurate now, which makes it possible to keep track of email outreach. "Helpful and simple solution providing visibility into all the activities"
That Komiko works for me and put all the data into salesforce. Adding new contacts is super easy. Also it shows you the last interactions, which helps you keep track of customers. There is a problem in differentiating data for different opportunity in the same account. It just saves a lot of time and keeps everything organized. "Great tool to help sellers connect the dots"
I like that it gives me a holistic view of each account that is in my territory. Very easy for me to know exactly what is happening in each account. I dislike the layout of the graph built into SFDC. I think the layout could be clearer around the primary contacts. We are solving connectivity issues. We have SFDC, but still don't have a way to get a more holistic view of who the primary contacts are in an account. Nothing at all, the product is great for us! Activity logging from different sources. "A Seamless Sales/Customer Success Tool"
I love the email and calendar tracking that Komiko does. Unlike many of their competitors, they are doing the tracking from server side so users are not required to download a clunky plugin that slows down their day to day use of Salesforce or Gmail. None. All of the small issues I've experiecned, the team has provided prompt solutions and workarounds. Komiko has allowed me to maintain and improve our Salesforce data integrity by tracking everything automatically. This has made metrics performance much more reliable for sales reps and sales management. "Great Tool for SalesForce Plugin"
I really liked that it connects the actual people, and accounts with the information that is necessary. I love that it provides insights into performance as well. We are keeping clients informed of how they are performing, tracking contracts, and making sure the right people are getting the right information on their accounts. "Great for catching up on what I missed"
Komiko is great for getting context when I'm joining an exchange halfway through, or dealing with an account I haven't seen before. I dislike very little about Komiko, it provides me with great insights that I otherwise wouldn't have. Great product if you want to add another weapon to your arsenal. Getting context on interactions with customers to help provide better service to them, and to be more informed to be a part of internal discussions. 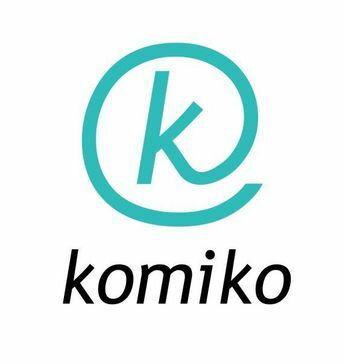 "Sales and Marketing Operations Specialist"
Komiko has been essential in taking the mundane away from our reps.
We've run into the need for customization based off our email program and user origination (filtered tracking), and Komiko has been able to quickly develop a solution to of our issues. Komiko tracks our emails and calendar invites for mailboxes that we elect to monitor. It takes away the annoyance of logging email activities and removes the guessing game of whether a lead has been followed up with properly. "Enjoyable to have in Salesforce"
I like how it shows exactly who has spoken to the client and in what frequency. Furthermore, its nice to see it in the format they provide it in salesforce because it makes it very easy to understand. No real complaints about software in my opinion. It helps track all communication to a client, which is helpful when you are taking over the account from someone else. How have visibility into our entire salesforce instance regardless of the contact / lead does or does not exist in SFDC. Sometimes it doesn't automatically create a contact on the email that was sent which I wish it would. If you have problems with rep entering data into sfdc, add it. "OK, but very spammy. " helpful to have content embedded in SFDC. Spammed whole company with alerts. Took a long time to resolve and annoyed colleagues. Hello John, , thank you for your feedback. We're happy you find Komiko's embeded content in SFDC helpful. The email notification you mention in the review is sent to your mailbox per your admin's approval and request: email meeting briefs prior to meetings with prospects and customers. To stop email notifications please click the "unsubscribe" button at the bottom of each email, email our support hotline, or email me now to liat@komiko.co and I will remove you from these services immediately. Komiko's visualization in salesforce is incredibly helpful for quickly seeing which customer contacts your team has been in contact with. The integration with gmail sometimes pulls in emails to salesforce that are not supposed to be in salesforce. Also, the reporting could be more configurable and easy to use. The ability to see quickly who our contacts are across our customer base has been very helpful.
" Informational and easy to use "
It would be good to see analytics using ML out of the box and also some flexibility to support dynamic and changing business. Also, enriching contacts from 3rd party sources should also help to enrich data sets. "Customer Success Enablement at its best"
Technical Integration and no touch generation of actionable customer information allows for laser focused Customer Success Enablement. Nothing. It is a wholistic solution designed by a senior team. 360 degree view of the customer. "Great for Desktop use within Salesforce"
It’s a fantastic way to know what other communication has been done on an account. It cuts meeting time by allowing each employee to read for themselves what’s going on with each account. It might just be user error, but I can’t get it to work with the mobile versions of Salesforce. Like I said above. It really helps knowing what old account managers have done/said to accounts and what the rest of the team is communication to their accounts. It also keeps my boss in the loop as much as she wants to be. "Good service for my team"
Sometimes i'm inundated with emails, and sometime the emails are incorrect. "Good tool for creating KPIs around account activity"
Works well with SFDC to track activity metrics for each account. We can use that to create health scores for accounts. Email tracking functionality is pretty bare bones compared to other products on the market. We are able to track many activity metrics for each account and use that to determine how healthy an account is. It seems that there can be bugs in the system. The CTA (call-to-actions) seem like duplicates and at times, unnecessary. I think we need to work a bit more on how we have it set-up! Staying on top of accounts. Hello and thank you for your feedback. We're glad that you like that Komiko alerts you to take action on your accounts and helps you stay on top of things. As for the errors in the CTAs, we work with your admin to incorporate special cases, custom fields, specific segments or opportunity stages in its machine learning model, to align Komiko to your sales cycle. Please contact the support hotline, call (425) 903-3346 or email me directly liat@komiko.co to solve this issue and make Komiko work better for you. I love the ability to see who I have had recent communications with in an easy to navigate dashboard. Not a whole lot. Very good solution. Would be great if they handled surveys as well. Staying in touch with clients on a regular basis, KPI's, and not losing track of conversations with clients. "Excellent tool for keeping on top of customer interactions and utilising our data"
The simplicity of the solution and the friendliness of the team at Komiko. Some things were not as intuitive but the team were on hand to provide support when we needed it. Komiko allows us to automatically keep track of all customer interactions. This not only has benefits for keeping up-to-date data making it more valuable, but it also helps with our compliance obligations. "Works perfectly for what we need"
We have not found anything as of yet. Everything works to our liking. Our Sales & Client Services teams were using up lots of their time throughout the week logging their emails they sent into Salesforce. Komiko has automated this process for us at an affordable price. Not too much. It's very easy to implement and use. Sometimes I bet a bit of a lag on my gmail instance. not sure if thats from Komiko or not. Tracking and measuring everything for sales analytics purposes. * We monitor all Komiko reviews to prevent fraudulent reviews and keep review quality high. We do not post reviews by company employees or direct competitors. Validated reviews require the user to submit a screenshot of the product containing their user ID, in order to verify a user is an actual user of the product. Hi there! Are you looking to implement a solution like Komiko?